Is an electric pasta maker a waste of money? You decide. Electric pasta maker - a waste of money or a good investment? Make no mistake, Imperia’s Pasta Presto is not cheap. It may be the best electric pasta maker on the market, but is it really necessary to spend that amount of money on a machine to take care of such a simple process? We provide you with the pros and cons. The decision is yours. First : learn how to make pasta. Its name is a bit misleading, in our view. 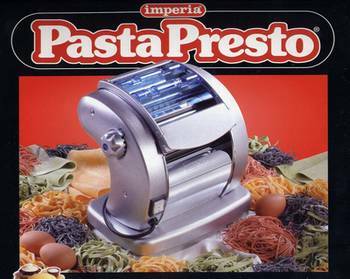 This is not strictly speaking an "all-in-one pasta machine" as described by Imperia, but a roller and cutter. It does not make the dough for you. 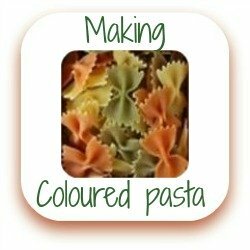 So before you even get it out of the box you need to learn how to make your own pasta dough. 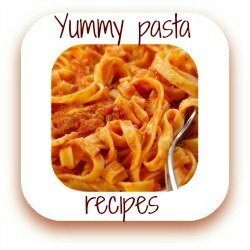 For step-by-step instructions, follow this link to our friend Gabriella's authentic Italian pasta recipe. If you're looking for a machine that does it all for you, click here to have a look at the Lello Pastamaster. Is the Pasta Presto a good make? Absolutely. Imperia is an Italian company which has been making pasta machines since the 1930s. They're very well known both in and outside Italy for their quality, durability and innovative design. The manual version of this machine is widely used in Italy - a real favourite of all our Italian friends. So if you want a good, reliable brand, Imperia is it. It's quite a large, silver-finished machine which sits on your work surface. Imperia are proud of its sleek, modern design. Its lid covers rollers which are controlled by a dial setting which creates six increasingly thin sheets of pasta. Once you have the dough to the thickness you want, there are integral cutters which make two different widths of ‘ribbon’ pasta - tagliatelle or fettucine. There are other attachments to buy separately if you want to make different pasta types. Once your dough is made, make sure the dial is programmed to its widest setting, turn the electric pasta maker on and feed your dough into the rollers two or three times. Stop once the pasta has reached whichever thickness you prefer. Then choose the type of pasta you want - lasagne sheets, tagliatelle or fettucine - and put the dough through the cutter mechanism. Leave the pasta to dry for twenty minutes or so either on a lighly floured plate, or hanging on a pasta drier. Bring a pan of water to a rolling boil and add the pasta. It will take a very short time to cook - around ninety seconds. When the pasta floats to the top it's ready. Drain, add it to your favourite pasta sauce and you'll have a bowl of steaming, delicious pasta. Whether you make your pasta completely by hand, completely by machine or somewhere in the middle, you'll find the authentic home made pasta is completely different to any shop-bought - and you'll never want shop-bought again! 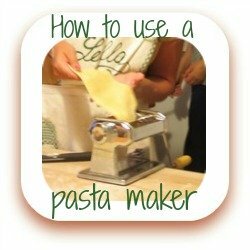 What are the advantages of having an electric pasta maker? Making pasta completely by hand is time-consuming. 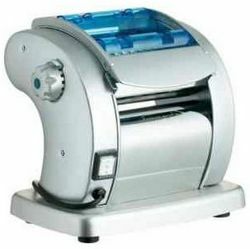 This machine cuts down the amount of time you spend rolling and cutting. 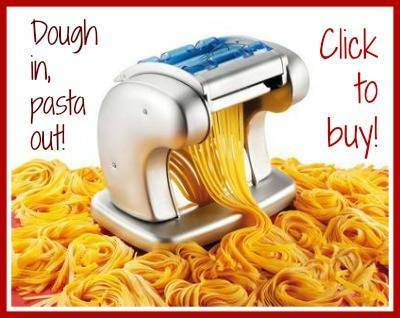 It has six thickness settings so you can get your pasta to exactly the consistency your family prefers. Doing this with a rolling pin, or even with a manual machine, is hard work. The Pasta Presto comes with three different shapes as standard : the lasagne sheets; fettucine and tagliatelle. It's possible to buy other attachments to makea whole variety of different shapes. Kids love this! It has a non-stick coating which makes it extremelt easy to clean - a definite advatage over the manual machine. It's a robust, sturdy machine which comes with a twelve month guarantee. It does not make the dough for you. 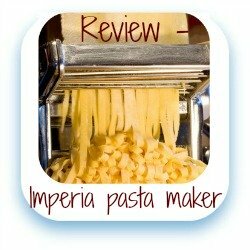 Is Imperia's electric pasta maker worth it? - Conclusion. It's ideal if you like to make your own dough, or if you have a bread-maker which can do it for you. Its advantage over the manual machine is simply that it's quicker and less fiddly. It's easy to use, so kids (under supervision) can have fun putting the dough through and watching it stretch. The manual machine is harder work for small hands. However, if you don't have much time and want a machine that does it for you from beginning to end there's another electric pasta maker - the Lello Pastamaster - which may be a better choice for you (and it's less expensive). Full instructions are included, but if you’re still not sure watch this video which takes you through the process of using this machine and explains the types of pasta it can make. Looking for a manual pasta roller and cutter? The Imperia is the best on the market. Here are some related pages you may find helpful.